This cleansing oil is a fair buy, but honestly I would not purchase it again. 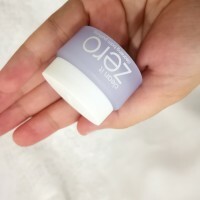 The consistency is not great, the solid oil does not melt like others I've tried and when it does it feels anything but rich; you feel as if you need to use a lot of product to get the job done. It has NO FRAGRANCE as some have stated. If you're looking for a great Korean skincare cleansing oil I would recommend 'Erborian Solid Cleansing Oil.' This cleanser smells great, is rich in texture, melts like butter when rubbed in, and you only need a pea size amount. Thank God for showing me this product. Really love this product. 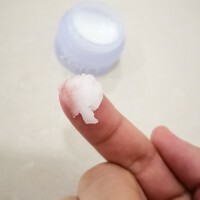 It cleans out my pimples after using a month I LOVE this balm cleanser. I am so impressed with the formula and how it melts makeup off of my face. It dissolves and washes off easily taking all of my makeup with it. It's hassle free, doesn't make a mess and doesn't irritate my skin. I’ve used many variants of Banila Co’s ‘Clean it Zero’ line and this one is by far my favorite. Just like any other Banila Co. Cleansing Balm, this starts of solid and melts as you massage it into your skin. It turns into an oil-like substance that melts off all your makeup. When rinsing it off, it foams up and leaves your face feeling clean but still supple. The purifying version of the cleansing balm is perfect for people with acne prone skin, as it is infused with Centella Asiatica - an ingredient known for fighting acne! It is also free from artificial coloring, alcohol, parabens, and mineral oil — which makes it perfect for even the most sensitive skin types. If you’re looking for something to take your double cleansing up a notch then this is the product for you!